Meet our Advisory Board Members | His Kids Too! We are very thankful for these volunteers! Andrew and his wife, Jenny, are missionaries living in Ivankiv, Ukraine. The couple have 2 daughters, Abigail (born August 11 ’08) . Andrew holds a Bachelors in Missions from Abilene Christian University. Andrew serves as the Executive Director of Jeremiah’s Hope, a ministry also working with orphans in Ukraine. Through his ministry, he oversees a transitional living center for post-orphanage graduates and has constructed a 12 acre Christian camp for orphans in Ukraine. Kristy Cates lives in Valdosta, GA , with her husband and two children. She has been involved with His Kids Too! for many years to help the children in Ukraine & continues to inspire others to help improving the lives of children in orphanages. In 2005 she traveled to Ukraine to help at Bible Camp. Kristy designed and implemented the ‘Go Bananas for Orphans’ program, and continues to support this program with the help of her students and the faculty of Lowndes Co. High School, GA.
Lisa is a licensed clinical social worker in Tallahassee, Florida. Lisa resides in Tallahassee with her husband and 2 daughters. She and her business partner, Cori Bauserman, conduct adoption home studies in Florida for both domestic and international adoptions. Dr. Jonda Ward Young is a general pediatrician in private practice in her hometown of Benton, KY. She lives there with her husband, Mike, and two children, Ellison and Hayden. Dr. Young became interested in the work of His Kids Too! during a mission trip to Ukraine in the fall of 2007. She will specifically be assisting with advice in the areas of children’s medical issues, in addition to pharmaceutical donations to His Kids Too! Anita lives near Little Rock, AR with her two children adopted from Ukraine in 2001. She has been involved with His Kids, Too! for many, many years, providing humanitarian aid, financial assistance, professional advice, and most of all spiritual support. She has traveled to Ukraine twice for the purpose of missions and adoption. Anita’s area of interest for her involvement with His Kids, Too! is collecting and shipping humanitarian aid. Shawn and his wife Natalia live in Jacksonville, Texas with their four children. Two of his children were adopted from Ukraine in January 06. He is committed to ministering to the children of Ukraine. Dwayne has been a missionary builder for more than 18 years, building church facilities around the U.S. He and his wife Heidi have adopted twice in Ukraine, in 03 and 05, and feel a very special bond to the country and people there. They stayed in Ukraine for 14 weeks in the process of adopting their second son. They encourage other adoptive hopefuls and adoptive parents. 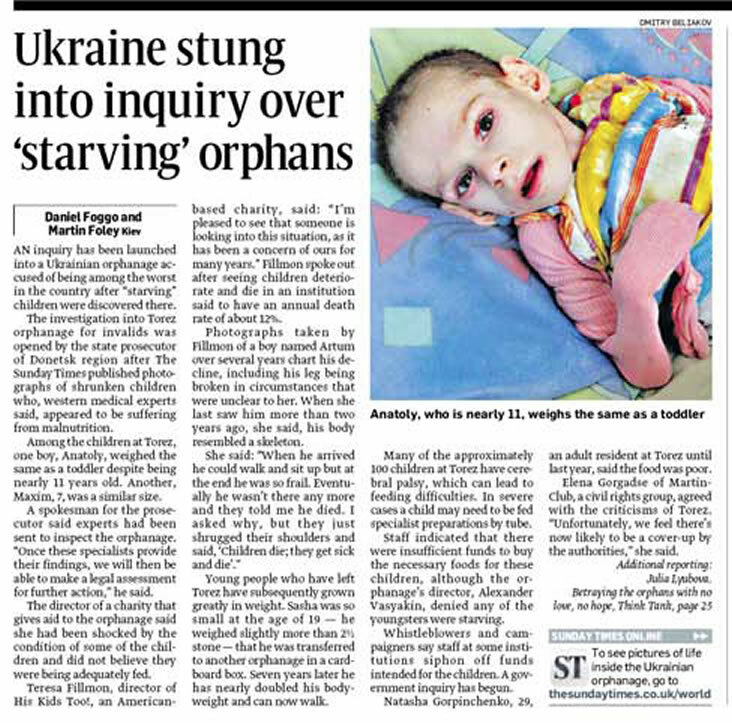 Heidi immersed herself in helping others adopt from Ukraine, but tragically passed away June 2010. She is sorely missed by the His Kids Too! family and many others that loved and appreciated her. Alena A. resides in Kyiv, Ukraine, with her husband (a pastor) and their young son. She is a paralegal, and will be assisting His Kids Too! with legal advice, and adoption facilitation. Edward is a native Ukrainian and holds a degree in Metallurgy. He has a heart for orphans, and has facilitated many adoptions with foreigners; distributed aid, participated in the Summer Bible Camp and now is assisting His Kids, Too! as a liaison with officials. Stephanie lives in central Kansas with her husband and 11 children. 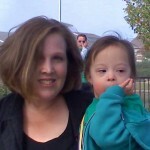 She began advocating for individuals and orphans with Down Syndrome after her son, Ralph, was born with the chromosomal condition in 2007. While in Ukraine adopting two young boys with Down Syndrome in 2010, she was heartbroken by the magnitude of abuse and neglect that she witnessed. Now she works with His Kids Too! and Project TLC to improve the lives of the orphaned children she left behind.